Montreal, November 6, 2018 – bciti is proud to announce that residents of the city of Saint-Lambert can now sign up for their city’s transactional, secure and interactive portal to gain online access to a wide range of common services. “We’re committed to providing the best possible services to our residents. With bciti, Saint-Lambert is blazing a new trail and becoming a smarter city that’s more accessible to residents. The portal will undoubtedly become a primary point of access to our municipal services, all while providing a user-friendly experience and integrating our different systems in a transparent way,” explains Saint-Lambert’s mayor, Pierre Brodeur. Thanks to the secure digital portal available both online and as iOS and Android applications, residents will no longer have to go to city offices for different services. They can now access services from anywhere, at any time. With the arrival of bciti, Saint-Lambert’s resident cards are now digital! Residents will have the option to replace their laminated resident cards with a digital card. All they have to do is create a bciti account and link their current resident card. Residents without a card can create one online just as easily. Linking family members’ cards will also be possible, making them easier to use by removing the need to carry multiple cards and risk losing them. 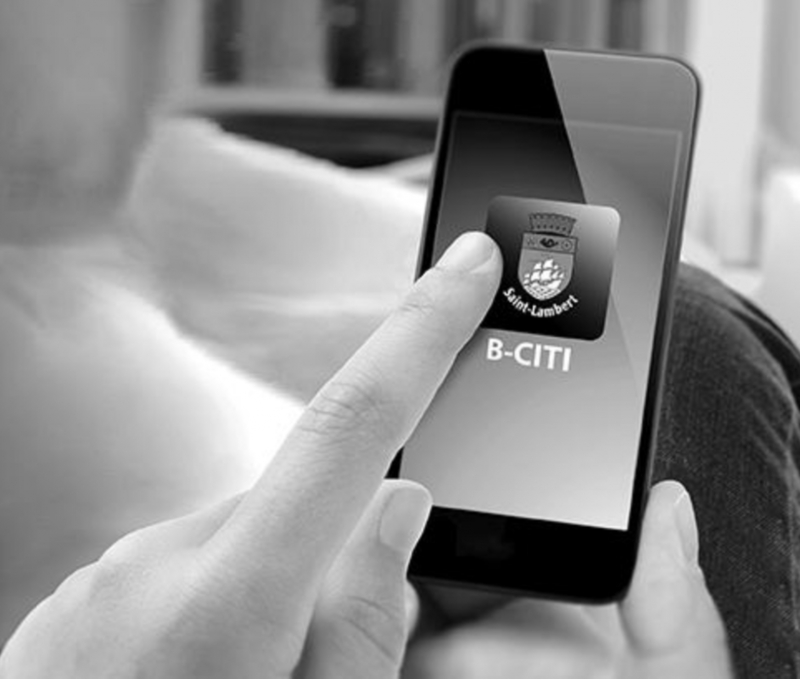 The bciti portal is available online via the city’s website at http://www.saint-lambert.ca/en/b-citi and the mobile app can be downloaded for free from Google Play and the App Store. All residents must do is create an account to access all services. bciti is a multi-city/multi-channel intelligent platform that brings cities closer to their residents. bciti provides a reliable and secure ecosystem of digital services that allows residents, users and cities to be smarter, together. bciti connects multiple systems (existing, open data, IoT), enters and centralizes information, cleans data, uses AI to facilitate decision-making and recommendations, and offers numerous services in a number of cities via a SINGLE app. Specialized in the ethical and secure management of resident data for smart cities, B-CITI helps cities progress from a fragmented environment to a more comprehensive management system by simplifying operations and improving the quality of life of residents.